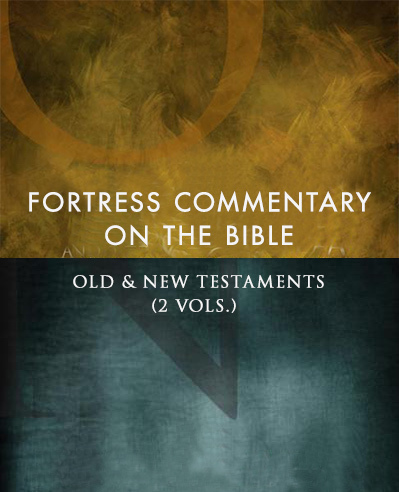 The Fortress Commentary on the Bible: The Old Testament and Apocrypha and Fortress Commentary on the Bible: The New Testament present a balanced synthesis of current scholarship on the Bible, enabling readers to interpret scripture for a complex and pluralistic world. Introductory articles in each volume discuss the dramatic challenges that have shaped contemporary interpretation of the Bible. Commentary articles set each book of the Old and New Testaments and the Apocrypha in its historical and cultural context, discuss the themes in each book that have proven most important for the Christian interpretive tradition, and introduce the most pressing questions facing the responsible use of the Bible today. The writers are renowned authorities in the historical interpretation of the Old and New Testaments, sensitive to theological and cultural issues arising in our encounter with the text, richly diverse in social locations and vantage points, representing a broad array of theological commitment—Protestants, Catholics, Jews, and others, and alive to the ethical consequences of interpretation today. A team of six scholar editors and seventy contributors provides clear and concise commentary on key sense units in each book of the Old Testament, Apocrypha, and New Testament. Each unit is explored through the lenses of three levels of commentary based on these critical questions. The result is a commentary that is comprehensive and useful for gaining insights on the texts for preaching, teaching, and research. In addition to the commentary essays on each book, the volumes also contain major essays that introduce each section of Scripture and explore critical questions as well as up-to-date and comprehensive bibliographies for each book and essay.